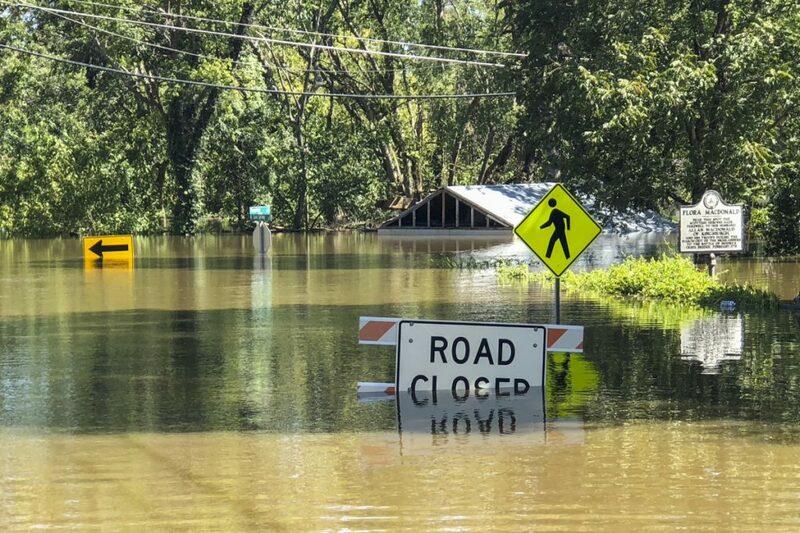 Florence has moved on, but many rivers and streams are still surging. The death toll rose to at least 35 in three states, with 27 fatalities in North Carolina, as Florence’s remnants went in two directions: Water flowed downstream toward the Carolina coast, and storms moved through the Northeast, where flash floods hit New Hampshire and New York state. 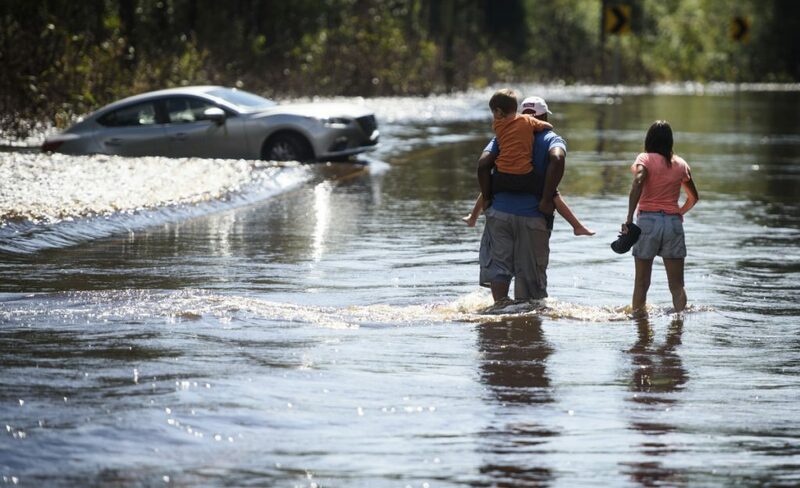 Residents of Linden, N.C., wade across a flooded Elliott Bridge Road on Tuesday. Thousands of evacuees are being urged to remain in place as swollen rivers and streams continue to rise. Floodwater from Cross Creek covers North Cool Spring Street on the edge of downtown Fayetteville, N.C., on Tuesday. 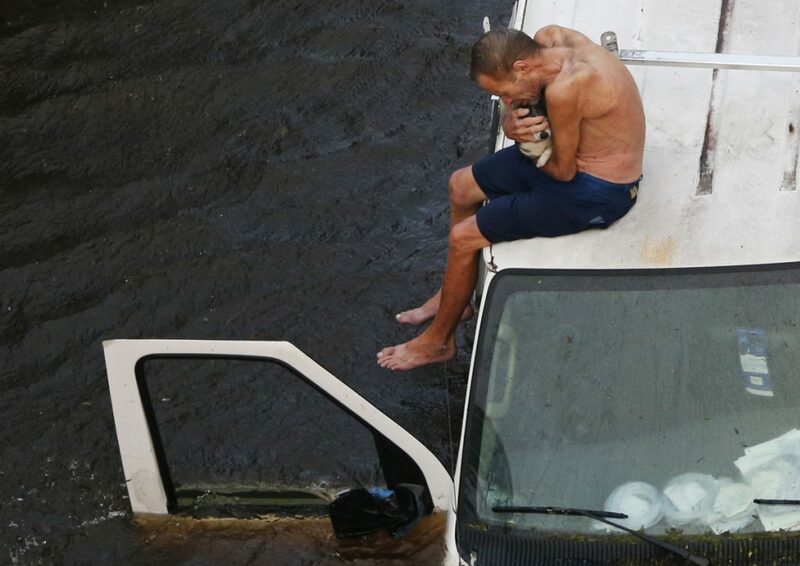 Willie Schubert of Pollocksville, N.C., cradles his dog Lucky as he waits to be rescued by a Coast Guard helicopter crew off a stranded van in Pollocksville on Monday. In a bright spot, the Lumber River appeared to be falling in hard-hit Lumberton, about 70 miles inland. Power outages in the Southeast also were down, from a high of more than 910,000 to about 310,000, nearly all in North Carolina.